Purchase/Sale Hotel - hgconsultings Webseite! Hotels are considered specialty property and the sale or leasing works differently than for a house or an apartment building. The purchase as well as the selling process must be well planned and requires time. 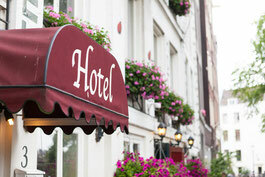 Are you thinking about selling or leasing your hotel? Numerous preparations will need to be made before you can put your property on the market. We can offer our professional experience and expertise. In order meet your specific requirements, please contact us for a free consultation. Advantage through utilization of our own hotel brokerage platform: www.hotel2invest.com with a large number of active investors. Do you need more information? Please call us or send us an e-mail inquiry!